This romantic collection contains twenty songs perfect for wedding ceremonies. All are arranged for the Ukulele with standard G-C-E-A tuning featuring the melody line, lyrics and chord frames for each song. 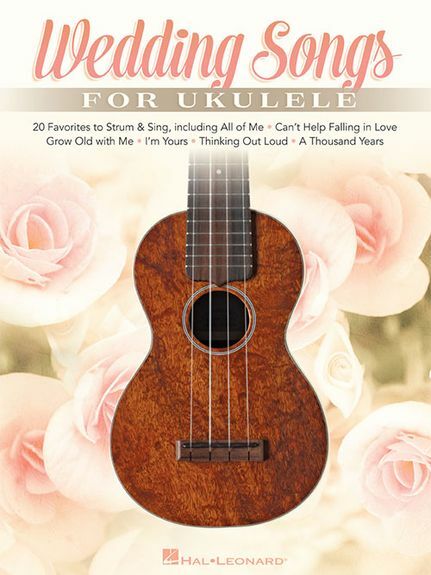 Wedding Songs For Ukulele includes the favourites: All of Me, Better Together, Can't Help Falling in Love, Grow Old with Me, The Hawaiian Wedding Song (Ke Kali Nei Au), I'm Yours, Just the Way You Are, Marry Me, Thinking Out Loud, A Thousand Years, Wedding Song (There Is Love), You Are the Sunshine of My Life and more.